Will your kids have to make up snow days this year? COLORADO SPRINGS, Colo. - Colorado Springs has seen plenty of snow this winter, which means some schools may have to make up time missed due to snow days. Colorado requires that students be in school for a certain number of minutes per year. If those minutes aren't already built into the calendar, districts will have to make them up. 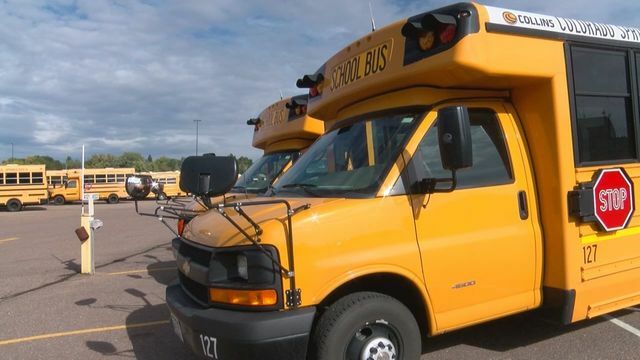 We checked with several Colorado Springs-area school districts to find out if they'll have to make up time. Harrison District 2 said as of now, they will not have to make up snow days. "It has not been an issue for us because we have so many hours above and beyond what is required by CDE," the district said. Widefield District 3 said as of now, they will not have to make up snow days. Fountain-Fort Carson District 8 said they will not be adding any additional days to the calendar. "FFC8 has traditionally and historically committed to having a bit of a longer calendar than most in the region as a way of prioritizing our funding in instructional days as an educational tool for student success," the district said. "We have only had 4 snow days so far in 19-20 and are not considering adding any instructional days to the calendar, given the extra length we've already invested in. It would take a few more days off before we were nervous about meeting the required instructional time by the state." Colorado Springs District 11 said many of their schools will need to add additional time to the school year. "To date, all of our D11 high schools and three of our D11 middle schools will need to build in more minutes because of the inclement weather closures and delays we've had this school year," the district said. "We are currently in the process of assisting schools with a menu of options for determining how they intend to make up the time. Doherty, due to flooding at the school earlier this year, will have to make up the most time." Cheyenne Mountain District 12 said they are not currently considering adding days. They said they have 5.3 days of extra time, above the state required minimum, already built into their calendar. So far, they've had four snow days, leaving them 1.3 days above the state required minimum. Manitou Springs District 14 said the Board of Education will decide in April whether or not to extend the school year. They said they have six snow days built into the calendar, and they've used five. Academy District 20 has used all six of the snow days it planned for. "So, as long as it doesn't snow enough to cancel or delay school, we will not be adding any more days to this school year calendar," the district said. Lewis-Palmer District 38 will make up snow days on April 19 and May 10. The district said both of those days were built into the calendar as alternative make-up days. The Board of Education approved their use at its March meeting. Falcon District 49 said they most likely will not have to make up time. "Although this has been an active winter, it is highly unlikely District 49 will 'run out of snow days,'" the district said. "In District 49, our calendar includes an early start in August along with five-day weeks throughout the school year. In addition, our practice of taking our two-week spring break in March (historically the month with the most snow) means we have an adequate buffer remaining even with the number of delays and closures this year."